I’m so touched by all the kind messages I have received since I announced my resignation from the Tibetan Parliament in Exile. It has been especially touching to hear from old friends and Tibet supporters I have not seen in many years. I am getting better with time. I am doing physical training every day and getting full medical care at home. 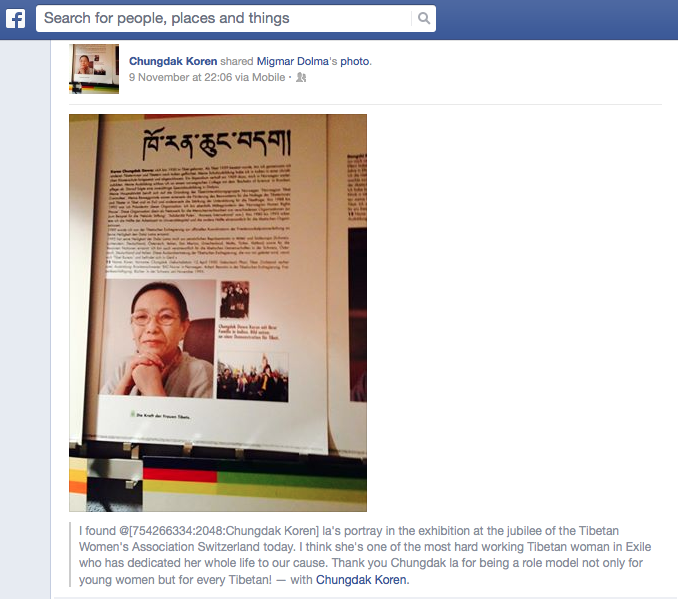 I do regard Woeser la very highly and am grateful for her statement on me and my work for the Tibet movement. Actually I think she has done more than any of us in the movement and under such difficult circumstances. She has reached out to many Chinese people with her blog. We need more people like her in China, then we might have more hope. As many of you know my health recently has not been good. I am resting for a while but wanted to share this post that I saw on Facebook. 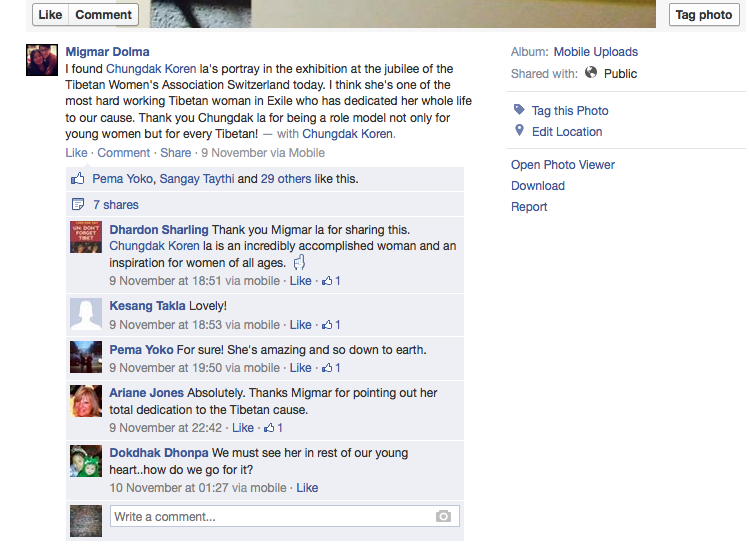 I’d like to thank Migmar la for her touching words. This was a big surprise and has given me strength to work more and I hope my health will allow this.